A clever addition to our range which helps to ensure your pieces sit as flat against the wall as possible. 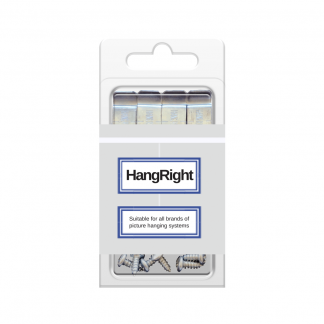 We highly recommend ordering a pack or two to assist those pieces which lean forward when suspended on a hanging system. The wall protectors consist of a firm felt with an adhesive backing and are acid free. 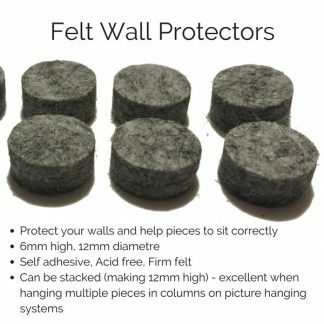 12mm diameter and 6mm high they are perfect for everyday applications or can be doubled up to create a 12mm high wall protector which can be very useful when you need to push the bottom of the suspended piece out from the wall slightly; often useful when hanging more than once piece on the same dropper.